We began working with Trish in 2005 as we moved into a new house. Trish did a great job turning our new house into a home. We then enlisted Trish's assistance as we updated our rental properties. We owned 70's and 80's rental properties and wanted to update the interiors with new looks. 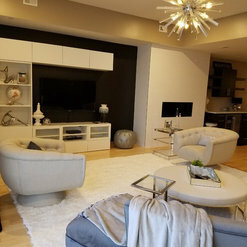 Trish had great ideas and the colors and finishes have helped us easily rent our homes as the new tenants specifically pointed out they chose our properties because of the updates. 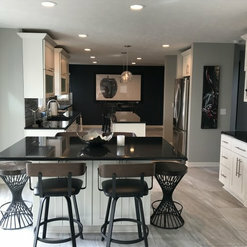 Now we have purchased a new house that was build in 2006 and Trish has helped us update to the latest styles and colors. She has appropriately costed our updates for our homes and our rental homes. Working with Trish for the past 14 years attests to our endorsement or her talents. We met Trish through our contractor. We immediately hit it off and hired her. I doubt that we could have done better had we searched the entire Metro Omaha area. She is down to earth, sensible and we were impressed with her skills and talent. We thought her rates were very reasonable. As a designer she identified our tastes and did not try to steer us toward unreasonably priced items. Her sense of color and design are impeccable and she kept us from making many mistakes had we proceeded without her help. The help and advise we received were invaluable. We recommend Trish without reservations. Trish did an excellent job on my project. 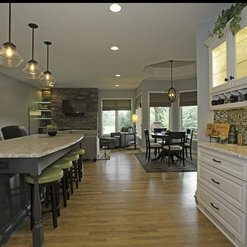 She was organized and detailed in coordinating all aspects of my remodel and is creative with her design ideas. She kept everything on track and was easy to work with. I would highly recommend Trish! Trish was great to work with! After getting to know our family and style, she was able to help us narrow our options down, to choose what was best for our home. We had a vision but just didn't know where to begin. Trish was very quick to answer any questions/concerns we had. She is very confident in her work, which made us more comfortable with some of the choices we picked and put our minds at ease. In the end, we got exactly what we were looking for. We were presented with a timeline and felt it stayed right on track. Trish has a brain that retains everything! I know she had many other projects going with other customers, but we always felt as if we were her only project when she was with us. The personal attention did not go unnoticed. Trish can work with anyone's budget. If you need a whole project managed or just a few hours of her time to help with ideas, she is the one to go to. I highly recommend Trish and welcome any calls as a reference. We will be calling Trish for future projects. 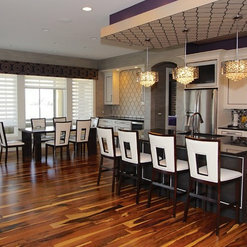 Trish was great and did fabulous work cooridnating a complete remodel of the first floor of my home. Work included plumbing, flooring, window treatments, and paint. Trish is a wonderful lady to work with. We purchased our Allure Transitional shades from her. 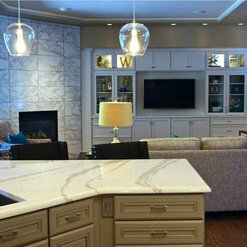 She was very professional when she came to our house, she offered many great options that would compliment our home. Her prices were unbeatable (I received about 5 quotes for the same blind and the other companies didn't come close to her) and she was very willing to work with us and stay within our budget. I would recommend her to anyone who was looking for a high quality blind to compliment their home! Thank you Trish! Trish is extremely professional and easy to work with. Her taste is excellent and I almost always agreed with the choices she made for materials. She responds quickly to calls or texts , which I appreciate. I recommend her highly. 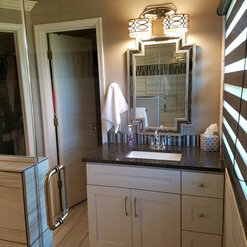 Trish worked with me on a bathroom remodel in September of 2016 and it turned out great. 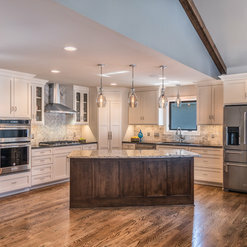 Trish was so helpful and very responsive and she had a great network of quality contractors. I would definitely work with Trish again! 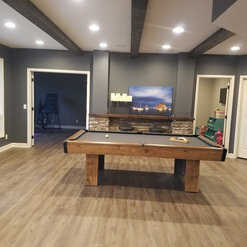 Trish was incredible to work with and our entire basement turned out amazing! Trish did a terrific job of getting to know us and took time to understand our vision. She brought terrific design ideas to the table and, when my husband and I had different ideas, she helped us pull things together that allowed both of us to be happy. Her communication and follow through were terrific. Trish committed a tremendous amount of time and attention to our project and was completely dedicated to ensuring it was successful. Trish also used talented and trustworthy subcontractors. We were pleased with every person that worked on our job and felt safe having them in our home during the day while we were at work. We highly recommend contracting with Trish for your project! 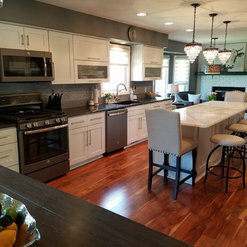 We invited Trish into our home for consultation on a small remodel project. As the project evolved, we very much liked the suggestions and preliminary plans that Trish presented. 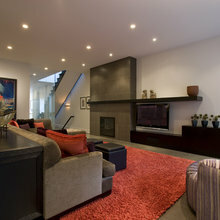 As a result, we are very happy with our project and feel it compliments the existing rooms. All deadlines were met in a timely manner, all the subcontractors were talented,courteous, timely and over all great to work with. These professionals have had much experience and shared ideas that really helped us make decisions. I feel that Trish did work hard to help us stay within our budget. Trish followed through to the final meeting and assures us, she is always available. 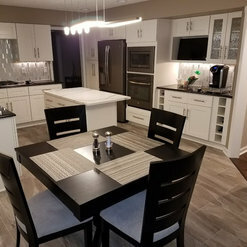 Trish did a fabulous job throughout my renovation! She helped guide us through the design process and really listened to what I wanted. She helped us stay in budget and recommended what to "splurge" on and when not to. Trish was great and I will use her again. 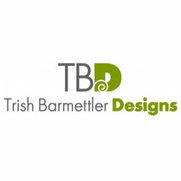 Trish with TB Designs is an accessible, flexible, efficient designer who knows how to work with both contractors and retailers. She saved us money, time, and headaches. But mostly I adore her keen eye for color and for creating the overall look we wanted. Highly recommended! 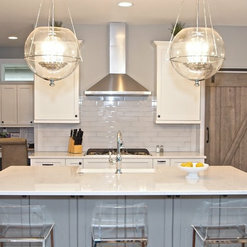 Commented: Love the pendent lights. Where are the lights from?Thank you for inquiring. I got them online at Pottery Barn. 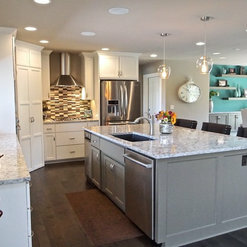 Commented: What are the countertops made of?The counter top is granite. It's called Pegasus. Commented: What color is the perimeter cabinets?They are a custom match to Sherwin Williams, Alabaster. Commented: What color is the fireplace mantle painted?It's Sherwin Williams, Divine White.